Our huge life size 4ft (48in) teddy bears are soooo soft, cuddly and adorable, and we know your special someone would love to get one for Valentine’s Day. Your bear will come wearing our favorite ‘Happy Valentine’s Day’ t-shirt to make it an extra special gift. 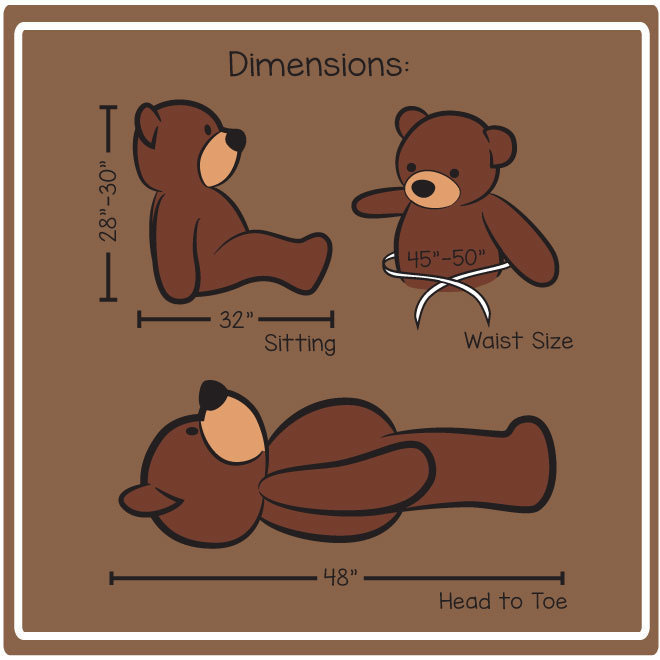 The custom shirt is specially sized for our 4ft (48in) teddy bears, and is washable and removable. White shirt with a red graphic design that says “Happy Valentine’s Day” with scrolling hearts and cupid.